How do you commune with your loved ones in Spirit? It appears many people understandably seek clairvoyant mediums for reassurance that their deceased loved ones are OK and what family members, friends and pets they are with, then little further happens once that reassurance is received. From all I have researched and experienced a happy life after life is certain, and loved ones are keen to work with us on our healing and projects if given half the chance. ​SAL helps and amuses me regularly and has appeared and assisted many, many people from her place in The All-Seeing-All-Knowing Oneness. She is willing to be usefully involved in your healing and more conscious creations. She and I know this is a huge stretch for many to understand and accept and we encourage all to expand your understanding by both going within and researching beyond your present beliefs. At times during her final days, I would lie on her bed with her holding a tender space to help midwife her passing. Can you see yourself on the bed? What I couldn’t imagine was SAL dying although I’d begun to seriously prepare her for my death when she was just 32, and I was 65 as I was having severe heart complications that required me getting a pacemaker in 2011 to keep me ticking. SAL would cry and say ‘You can’t die before me’ and I would cry and say ‘You can’t die before me’ and we’d both laugh uproariously through our tears at the thought of it. Over time we became very comfortable talking about death and the afterlife and the possible ways we might contact each other when one of us died. She and I also ensured our legal affairs were in order and had in-depth discussions about our advanced healthcare wishes, our wills, decisions about who was to get what belongings and why and chose each other as power of attorney. We both decided on cremation over funeral and discussed where we'd like our ashes scattered. ​Since the early eighties, I have quietly lived a somewhat semi-reclusive and mystical life having established Spiral Metaphysical Bookshop in Melbourne and so was surrounded by the works of cutting-edge authors and presenters of esoteric material in those halcyon days from 1981 to 1995. Like me, SAL was/is an avid learner, ever curious, and a deep listener who helped me express my latest research into the spiritual power inherent in all life, how individuals can live their highest potential, mysticism, quantum physics, the paranormal, and the afterlife. ​We discussed the positives and negatives of our life experiences at length and her immense satisfaction in studying for a degree in natural health to help advance the well-being and happiness of future clients. We spent hours and hours in conversation and exploration every day which is why we only liked houseguests who were not interested in such topics to stay for a maximum of three days. SAL had an uncanny knack for crafting a profoundly probing question, and as I’d read everything I could get my hands on about different cultural, religious and spiritual practices of death and dying I did my very best to provide her with good answers. We concluded we were most aligned to Taoist, Buddhist, Tibetan, Pagan, Shamanism, and various indigenous traditions. Sally was spiritually mature, and she continually honed her connection to Infinite Source by observing and intentionally immersing herself in the many worlds of Nature and Spirit. She read voraciously and studied the works of teachers such as Neale Donald Walsche, Madame Blavatsky, Alice Bailey, Abraham-Hicks, Dolores Cannon, Krishnamurti, Gurdjieff, Paulo Coelho, Wayne W Dyer, Lao Tsu and the Dalai Lama. We prepared ourselves as best we could to avoid being seduced by the false light or lower astral upon dying and to hopefully prevent the trap of yet another samsara cycle of life, death, and rebirth on Earth. We explored the notion of moksha and how to stay aware while dying. Wes Penre well expresses this trickery in How to Avoid the Death Trap and Is the Tunnel of Light a Trick? by Ahonu & Aingeal Rose. Brett Stuart examines liberation in Moksha, Remote Viewing Freedom from Reincarnation. See links below. SAL was an experienced lucid dreamer and also frequently practised slipping out of her body at will. We’d explore her out-of-body experiences and how she could go further safely. I’d often recount my own near-death experiences in 1967 which had ignited my intense interest in the afterlife and The Mystery. SAL says: I’m just a thought away. There is no death, only loss of the physical. As in life, SAL and I continue to be in daily telepathic contact now that she is on the other side. While I miss her physical presence dreadfully, I’m still as receptive to her Spirit as possible, and she finds ingenious ways to get explicit messages to me. Here are just some examples of how SAL communicates with me. I'm fully aware that these are just the preparatory stages of our conversations to establish methods for instant connection. I’ll continue sharing her messages to me and others and what can only be described as miracles as they come to hand. On Tuesday 8th of May, I was gently nudged out of bed in my new home by the Pacific Ocean around 5.30am to go down to the V wall to welcome first light. These wide rock-lined paths where the estuary meets the ocean in the shape of a vast V are my favourite, and all the walkers and dogs are so welcoming and friendly. I was guided to mindfully make my way over the ancient quartz striated rocks at Wellington Beach and around the headland to Shelly Beach. I stood for a long time drinking in the beauty of the ocean and feeling the incredible power emanating from what I call Sacred Mountain, and others call Nunguu Mirral Aboriginal Area or Pickett Hill. I was drawn to a picnic table in a park above the beach and noticed ‘something’ in the umbrella hole of the table. It was a rock in the shape of a heart with a painting of SAL’s recognisable face looking up at me. I turned it over to read ‘Facebook NSW Rocks’. I mused ‘You betcha - that’s why I live here’ and began again to study the face of this nature loving angelic faery. SAL often stuck a flower, leaf or grasses in her hair and I felt this message would be a doozy. They were personal messages along with strong encouragement to 'start your sessions again Pru and be sure to call it what you are - an Ascension Guide' regarding my Psycho-Spiritual Guidance Sessions at this time of accelerated evolution. We'd often discussed her work as a healer and mine as an Ascension Guide to help others navigate the tremendous changes that these heightening frequencies are bringing and how to imagine a future where visions are manifested with ease and grace. I left the beach when the sun was quite high in the sky and thought how much I’d like to meet the person who painted the rock. I’d love to thank that person as Sally Rock now accompanies me everywhere, and I’ve had many remarkable insights using it as my focus. When I returned to my new home, I immediately went to NSW ROCKS on Facebook. "'Heaven' isn't 'up there' Pru - it's in here - pointing to my heart. Everything is 'in here'. 'Out there' is a construct in which to experience emotional life'. As my inner circle and I lovingly prepare 'Lahuna' SAL's and my sanctuary in Megan for sale, memories prevent me from sleeping there, so I stay with Lynn and Jim our dear friends in Dorrigo. Lynn is a psychic medium of forty years experience who sees Sally clairvoyantly - in transparent form floating in and out and hears her words clairaudibly. Lynn's unique gifts help me communicate with SAL with precision and of course with our ever-present laughter and tears. On 1st July 2018 Lynn, Jim and I had breakfast at a local cafe and as we were talking about our beloved SAL I pulled my ever present 'Sally Rock' from my pocket and told them my story of finding it at the extreme end of Shelly Beach in Nambucca. After breakfast Lynn left to meet a friend in Bellingen 25 minutes drive away who immediately gifted her with a rock painted with 3 pink flowers! I couldn't wait to email my dear friend Robyn about Lynn's 3 Pretty Flowers. After telling Robyn the story of Lynn's 3 Pretty Flowers Rock I had an immediate return email from Robyn telling me that SHE had JUST received a mysterious and unexpected gift of a painted Universe Rock in a parcel from one of her product suppliers. In early 2014 SAL, Robyn and I had a spectacular day in San Francisco and Sausalito, and now the three of us continue to share experiences albeit from different places in The Universe! SAL's calling card to Robyn - as with others is her energy signature, telepathic messages, sunflowers, seahorses and a painted rock with green dots. During a recent online chat with Robyn, she said 'Perhaps you might ask SAL why I am procrastinating here (with the project that I need to do) and going back to old distractions ... it's not like me at all. I can manifest just about anything, so I am not sure what my problem is. What Can I Do for You, SAL? When I asked SAL this question, some fascinating messages came in a psychic package or claircognisant download and I'll reveal more over time. SAL has a playful and robust presence and is always crystal clear with her requests and directives. On my morning walk on the 18th May, she informed me she’d ‘hooked up with Kins’ my dearly departed spiritual brother whose favourite places were among the rainforests and waterfalls of Dorrigo. 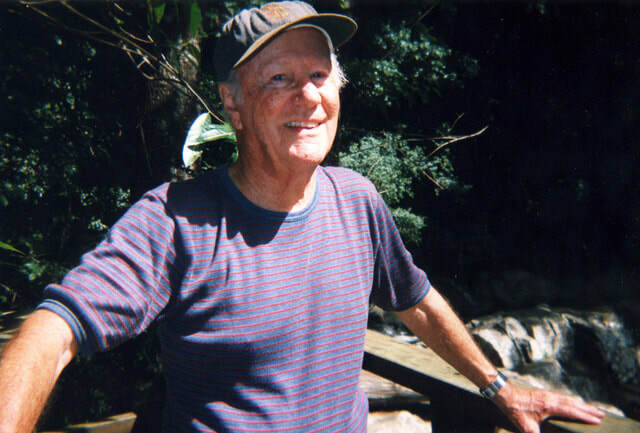 Kins was a compelling influence in SAL and I moving to the Dorrigo plateau in 2012. Kins illustrated nature spirits along with all manner of vibrational lifeforms he communed within the same forests that SAL loved so dearly. His ashes were dispersed at the very waterfall where some of SAL’s will be spread when she lets us know the time is right. Kins assured me he would ‘show her the ropes’ and much more of what he has learned from his adventures in Spirit. They are beyond time and space as we know it and a cosmic minute for them may translate into hundreds, thousands?? of our years on our Earth side. SAL loves humanity and the Earth so much. She said: ‘I’ll give them 12 months and then I’ll bugger off’. SAL is very busy and is achieving monumental successes and has incredible support and guidance from both sides of the veil. If YOU'D like to share any of your communications and serendipitous occurrences that you know SAL had a hand in please send to me and I’ll include a selection in Part 2. Here are some illustrative examples sent in by people who know SAL has been instrumental in caring, healing, guiding, supporting, entertaining and just plain loving. When Nick and I were travelling back from Brisbane after collection SAL's ashes on 24rd February 2018, we stopped at a red light somewhere on the Gold Coast, and to my left, in gigantic letters, I read the signs FREEDOM FREEDOM FREEDOM - 3 times for good measure. SAL’s energy signature and messages that come with these indicators are unmistakable and crystal clear. ​SAL knows I have been following the inspiring work of Robbert van den Broeke for many years as I often shared his discoveries with her. Robbert is a gentle psychic medium connected to Source Consciousness who is frequently impulsed to predict crop circle designs days before they appear in the fields near his home in the Netherlands. Along with these messages for humanity, Robbert takes Spirit photos of Mother Mary, Jesus, Angels, faeries, extraterrestrials and influential people like John Lennon, and President Eisenhower who had three secret meetings with ETs in 1954 in New Mexico USA. 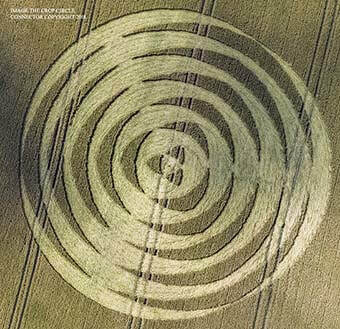 On 18 June 2018, I was guided to Robbert’s video of a glyph he predicted showing the connection between two worlds - a line between two circles depicting consciousness from other worlds connecting with Earth. SAL is linking up with some key researchers on Earth and in Spirit and left her calling card for me by directing me to Robbert’s Spirit photo depicting a meditating Buddha-like figure. Following Sally’s passing and cremation Nick drove me the 5.5 hour trip from Brisbane to my home via Dorrigo where dear friends had cooked us a lovely dinner. SAL had already visited them in Spirit to deliver a beautiful personal message for Nick. 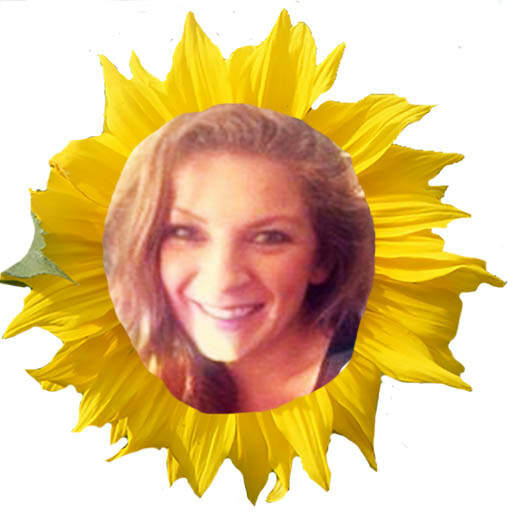 Lynn was amused as SAL was so playful and ‘in bliss’ as she hovered in the air surrounded by tiny crystals and ‘appearing mischievously with her smiling face in the middle of a giant sunflower’. 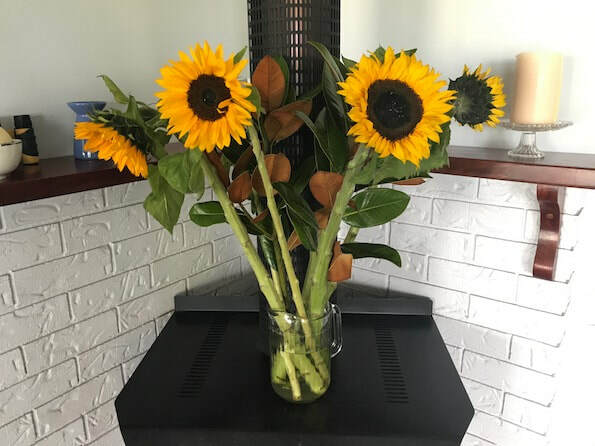 Imagine Lynn’s surprise when I told her that sunflowers are SAL’s favourite and that she had recently bought hundreds of seeds to plant on our two acres of garden. 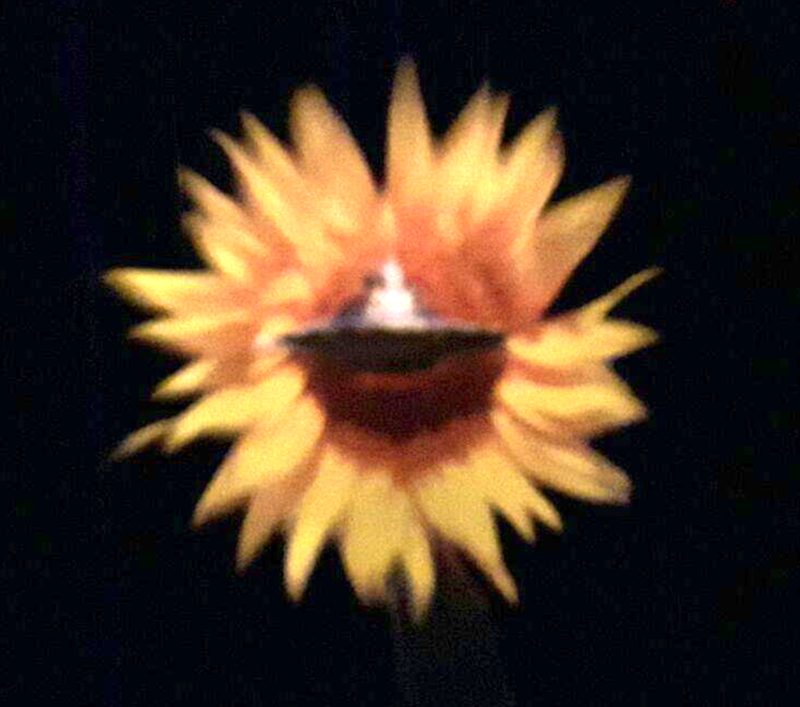 Dear friend Brony meditated and was 'impulsed to buy sunflowers' as a part of Nick's birthday gift. This was on my phone today and I didn’t take it. I kept looking at it as it was in my gallery taken today. In early April I spent two days and nights on the Gold Coast with a dear friend Paula who had breast cancer and had undergone chemotherapy and was following up with radiation which she calls cryptonite. Paula had lengthy telephone conversations with SAL in January, and both SAL and I along with many others held Paula in the space of total health. Thankfully with her commitment to health and a strict regime the excellent news is that Paula is now cancer free. 19.7.18 SAL shows up at significant times as if to confirm I'm on the right track. As I contemplate the possible effects of the energies of 22.7 regarding the collapse of the time matrix as we know it - which is also the 5 month anniversary of SAL's passing, I was studying the monad and how I feel we have the opportunity to 'become our Higher Selves' this July/August. 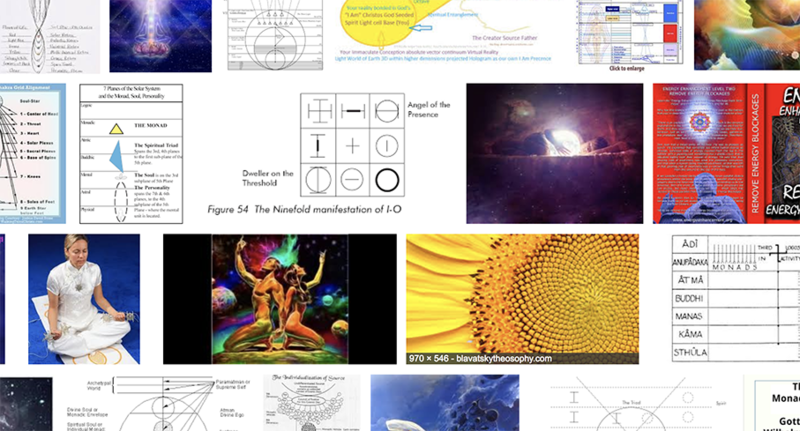 I was looking for a pictorial representation for Physical, Soul, Higher Self, Monad, Source and there in the midst of them is SAL's signature Sunflower. I guess that's a YES to these Awakening energies in full throttle now. Thumbs up from SAL. A part of The Rev’s private message to me was a blue and white beach ball. She said she felt 'silly' sending it as she just wanted to send a hug yet SAL insisted. I knew exactly what SAL meant - she was encouraging me to leave our lovely home and sanctuary on the Dorrigo plateau and live by the Pacific Ocean. Donna’s message from SAL arrived on 24 February and Nick and I moved into a magnificent house overlooking the Pacific Ocean on Friday 13 April. SAL has let me know that when I’m ready she’ll help find tenants who will appreciate and respect our home in Megan in a win-win in perfect timing. Our beautiful SAL has touched in giving me chills from head to toe. I've shared a mini message with Cedar privately. She says each of us has something special we're nurturing within ourselves to share and she'll help to bring them to fruition. While we're all somewhat foreign, we're not to one another as we've bridged our differences to understand the common ground we all care about. Be good to Nature as she's good to us all. Our Sally lived next door. She was studying Naturopathy in Brisbane. We never did really discuss natural therapies together. I have been working in that field before naturopathy was taught in Universities. My professional association requires 20 points of continuing education each financial year. I had said to Sally that it was an expensive business and quite difficult, living in a remote area, to accumulate those points. Being an up to date, modern miss, Sally gave me some information on how to acquire points without spending a fortune. ​I had a similar message from SAL on the night of 21st May 2018. She often gets messages through to me via my computer with various links, social media and youtube. I was working late into the night doing further research into how not to be seduced by the false light upon dying. Imagine my delight when I also received a message from 2015 when my youtube subscriptions rearranged themselves with a little help from my friend to reveal the first of four videos entitled Is the Tunnel of Light a Trick by Ahonu & Aingeal Rose. Valuable information. I've not posted here before but I was a friend of Sally's, we met at uni. Every time I walk into college I feel her energy still there, almost sending waves through the building down the corridors, gentle and comforting like the ocean. When I first went back, it was really hard. Most of our class graduated at the end of last year, so I felt I was a silent mourner on my own at college. I still keep a seat beside me in class for her to acknowledge her life and energy. I feel like I need to have some kind of send-off for her to feel at peace with her passing because I am still filled with sadness and loss. I just wanted to say I feel you all just as I feel her still with me. Uncanny as I was just thinking of you Alicia - SAL is very busy - LOVE that you keep a seat for SAL - When Nick and I go to the movies we always leave a seat for SAL between us, I also leave my passenger seat clear and often set a place for her at our table - actual and metaphoric. My dearest Seeds... I just saw your post re SAL and as I was reading it a beautiful Vision came in. My immediate Family are the only ones that know about this for now. I underwent Heart surgery just recently. It was touch and go and pretty scary for my Family. Anyway, as I read on, and I got to the part where you mention about the way in which SAL has been helping everyone, the Vision came in, after which the tears flowed. As I was being wheeled into the ER, SAL was there with me. She was dressed in nothing too elaborate but it smacked of the Elemental Queendom/Kingdom. She was wearing a flimsy, yet not see through, dress that overlapped at the front. It was a very, very pale green in colour, but not bright or gaudy....it's hard to describe really. On her head was a garland of leafy greens. She was barefoot and standing in somewhat of a ballerina pose. She was right by my side and had her hand on me....how very beautiful. Needless to say, I felt very emotional, and teary, and very Blessed. PS …..I just asked her if she was truly there, to which she replied… Yes, I was right by your side through the whole thing .....how Blessed am I. This world is tough for gentle hearts like ours. How is your body feeling today? and your Spirits? Holding you in a loving prayer for complete healing. Call on SAL. In the early days I didn’t want to ‘bother her’ and she just cracked up and helped me see through her ‘eyes’ - it was fascinating - I started calling her ‘Sally Everywhere’ …. and she kinda ‘sees like a dog’ - i.e. : in energies and vibration so no wonder she’s everywhere - Yes, she accompanied you throughout your OP. I SO loved how you described SAL being by your side in ER and throughout the operation … SAL also comes to me as ‘a radiant angelic faery’ wild woman Nature Spirit. She LOVED to dance. She’s loving her liberation and all she is able to achieve in The Oneness. Was her dress in this green perchance? I'm crying tears of Joy, Seeds....that Vision will definitely stay with me....she's a Busy Bee, our SAL. Enjoy your walk by the ocean.....it sounds Blissful.....I feel SAL walking with you ....oh my goodness re that dress colour.......that's it, that's definitely the green. Thank you so much for sharing this pic of the dress.....AND there was more to the Vision that saw SAL dancing around on the hospital floor, like a ballerina, and even trying to squat down on one leg with the other outstretched as she tried to twirl around. It was quite hilarious really and made me giggle. Then next thing, she was at the beach in the shallowest of water doing the same thing. It felt somehow that she was really intent on accomplishing this feat even though she was becoming unbalanced and to the point of falling over...and the funny thing is, I couldn't help but laugh at her. She's a scream!!!! What a beautiful Soul she is, Seeds....of course, you already know that. It's just so nice to be around her energy She's so happy and positive. I'm still gobsmacked at that dress, Seeds.......amazing and you can see why I said it was an unusual colour to describe really. Well - here’s the story! Nick bought SAL that dress right here in my new hometown. Uncanny that he and SAL came all the way 90 minutes down the mountain and found themselves in a specialty shop here!!! She tried it on for me when they came home and gave it a twirl though she never got a chance to wear it out. The beautiful unusual green suited her perfectly. I’m so happy that she’s wearing it now. Added to that - that yoga move of crouching with one leg out - she tried to get Nick to perfect it and they kept falling over and laughing about. They just couldn’t do it. I’m overjoyed that she’s progressed to twirling. She NEVER gives up. Neither of us had ever seen anything like it. We would have spent a good 40 minutes watching it, but neither of us had a phone to take a photo or video the experience. At one point, it even came up to the surface, and turned to look at us, watched us for a minute, then went back down to carry on feeding. Sal wanted to go back and get a camera, but as we got up to leave, he turned around and 'rode' off through the water. It was like it was there just for us, and when we decided to go, so did it! When we got back, we told Cedar all about our amazing experience while trying to work out which one of the 50+ species of seahorse it was. 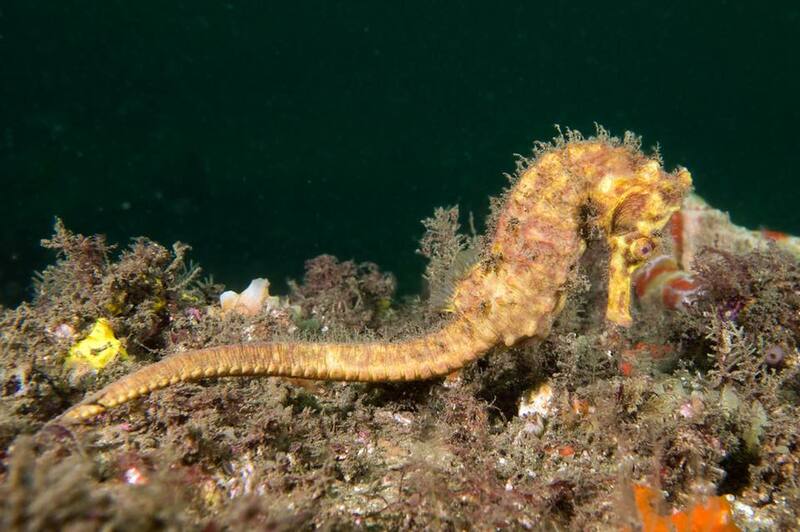 We believe it was a ‘Great Seahorse’ as they are known to be found in Sydney. 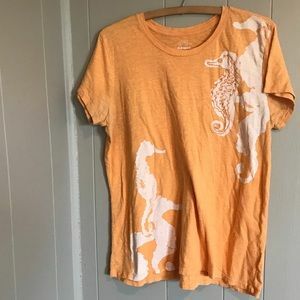 It turns out my Celtic Zodiac Sign is, yes, you guessed it... the seahorse! These magical, and some say mythical fish due to the rare sightings, have a special meaning to Sal and I. They are very unique in that the male gets pregnant and deliver their offspring. They are monogamous and mate for life. On the 9th January, following the collection of Sal’s new car, we took the dogs for a walk and then decided to go out for a walk/run. We did a 10km circuit that took us around Seaforth, down to the Spit, across the spit bridge and along the path around the water. We’d stopped at a pontoon to dip feet in the water and cool off. There were lots of jellyfish around, so we watched them for a few minutes before deciding to head back up the hill. 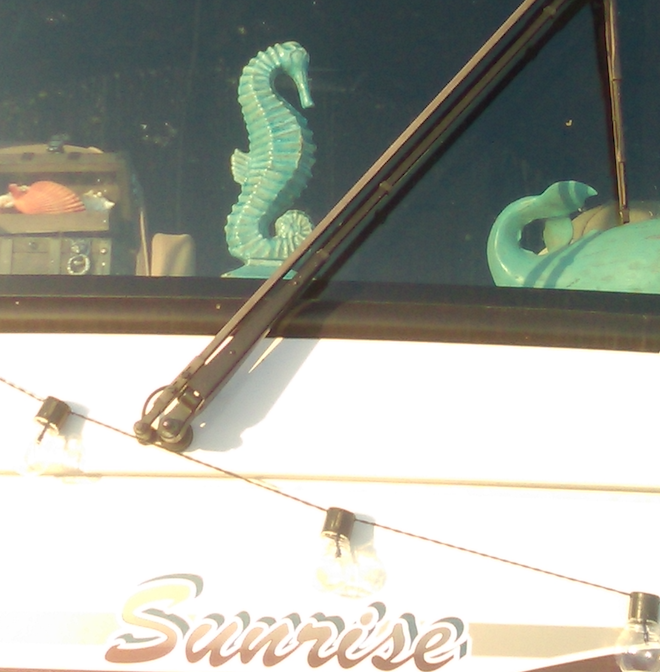 As we were leaving we noticed a spot that had lots of jellyfish, so stopped to watch them, as we were looking into the water I noticed something out of the corner of my eye, and pointed it out to Sal... it was a seahorse feeding in the seaweed on the side of the pontoon. Robyn has been following Sal’s journey on my blog and of had read Nick’s article about his and Sal’s adventures with the seahorse. Many years ago Sally called her massage and reiki business Universal Energy Healing. Her Soul essence guided her to find the perfect name then, and it seems even more relevant now. 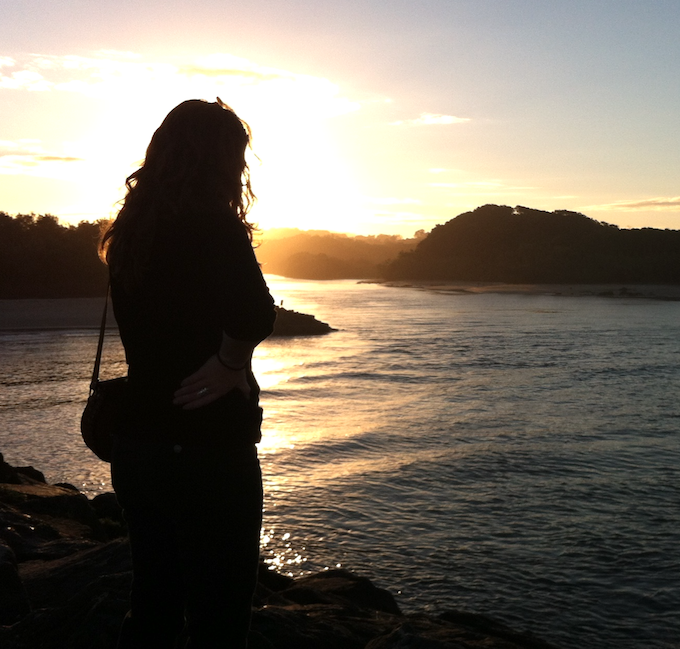 ​I had some sort of healing last night at the ocean and our dear Sal was at work too. Returning to my car after shopping for food to prepare a delicious meal for a party of eight for Nick’s birthday party, I found this tiny, shiny heart on the driver’s seat of my car with a lovely telepathic message of gratitude from SAL. This heart on my path came with a complete package of private information, so I'll only give an outline to demonstrate the nature of claircognisance and clairsentience/psychometry. Claircognisants ‘just know’ the dynamics and agendas of everyone concerned because the details are revealed in a split second in a holographic download direct from Source. As executor of SAL’s Will I was on my way across the reserve to post an official document when this ‘pulsating’ heart appeared directly in front of me on the lawn. As I bent to pick it up, I received an unexpected download of detailed information from SAL/SOURCE explaining the deeper reasons for the complexity and challenges I was experiencing in administering her Will. SAL indicated she ’sees all’ and had no idea how much work and stress would be involved. She was lavish in expressing her deep appreciation for all I was doing to ensure that her wishes are honoured and she gave me some very constructive advice indeed. I'm not in The Oneness, I AM The Oneness. 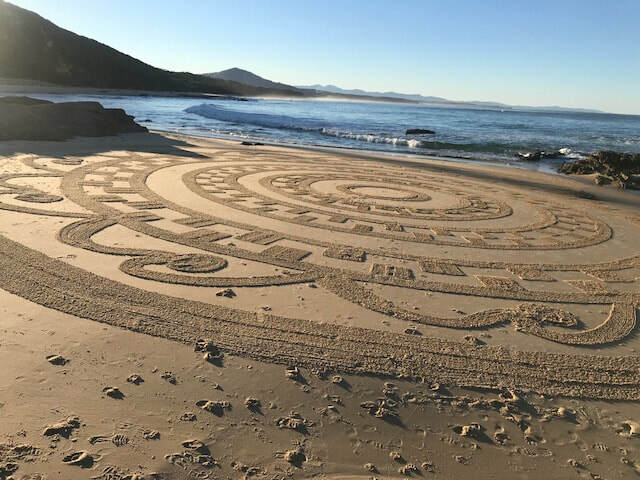 I did some sleuthing and found #ahippychickwithastick on instagram and promptly wrote to her and she graciously replied 'Hi Cedar, I'm so glad that finding my mandala on the beach made your day. It's lovely that others see my drawings before the tide takes them away. I was down Swimming Creek beach this afternoon and had a few people stop to tell me they had seen yesterday's drawing. I don't normally do them in public spaces, tend to head up the beach a bit where there's less foot traffic, but the sand at Main Beach yesterday was perfect and the beach was relatively quiet. Blessings to you, I will look for you on the beach. A fantastically fine Friday the 13th on my coastline. New Moon low tide, perfect sand, near deserted beach, humpbacks breaching on the horizon and partial solar eclipse energy had me in the zone. This day was a blessing. #ahippychickwithastick. Sally appreciated my fascination with crop circles that began in the mid-nineties as I always shared my discoveries of every season with her for the ten years of our friendship. The CircleMakers frequently point to the Sun, Earth, Stars and the Universe, energy and consciousness, and various warnings to humanity. The 2018 season also follows this theme, and serious researchers spend days, weeks, months and years deciphering the messages. Link to an excerpt from my beginning experiences of my 20 years interest in crop circles from my little ebook The New Frontier: multidimensionality. 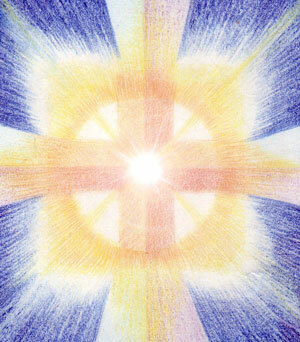 Imagine what it takes to create messages for us from the Spirit realm! SAL messages me with real items placed in my physical reality - painted stones, feathers, crystals and the like, all manner of signs and symbols in the landscape, flowers, fragrances, significant and repeating numbers, dreams, visions, dictation, number plate messages, songs on the radio, and youtube presentations although most of our communications are telepathic in nature. SAL says many people played 'In the Arms of An Angel' for her when she passed away. She wants to reassure everyone that she is estactic and she hears all your prayers. When I listen to this song I know that the Angel referred to is SAL herself, and she is committed to comfort and assist everyone in need. I welcome your reports of visitations by SAL. Thank you for reading and please take excellent care of yourselves and each other.